Why stop at the garage? ...can be used to protect your home. Rainguard Water Sealers® produces industry leading waterproofing and water repelling sealers for many materials around your home. Rainguard® is known for its effective, environmentally friendly, and easy to apply water sealing products. 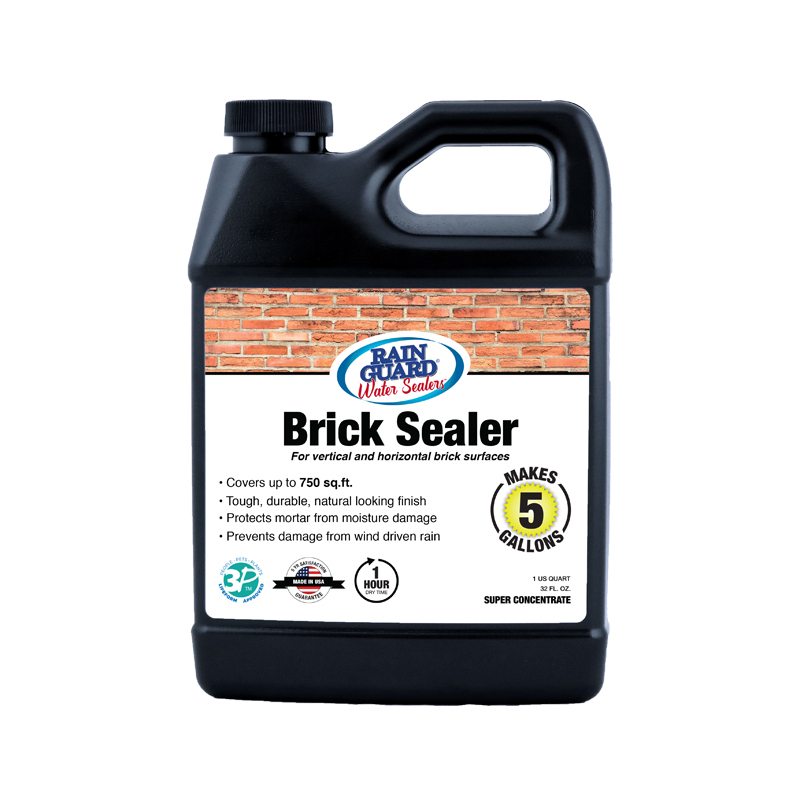 Popular waterproof sealers include wood sealer, concrete sealer, stone sealer, brick sealer, stucco sealer, paver sealer, paint sealer, gloss sealer (for a wet look), and a variety of waterproofing stains. Protect your surfaces with advanced water sealing technologies from Rainguard®. Whether you’re looking to seal and protect interior surfaces from occasional moisture issues or want to protect exterior surfaces from constant moisture from harsh elements including ice, snow, and wind driven rain, Rainguard® has you covered. Our premium water sealers are the perfect solution for DIY application around your home. Our products are designed for fast and easy application to ensure that surfaces are completely protected against moisture. Browse through our site to find the ideal solution for your specific home improvement project. If you need any help deciding which water sealer or stain is the best fit for your needs, we’re available by LiveChat, email or telephone. You can even text us. We are more than happy to help you find the perfect product for your home. Enjoy FREE Shipping on all products! Order by phone 800-272-4647, or place your order online. We guarantee your satisfaction with our products and will replace the product or issue a refund if you are unsatisfied! FREE SHIPPING for all purchases made from Rainguard’s website. It’s easy to order everything you need to protect virtually any surface around your home.